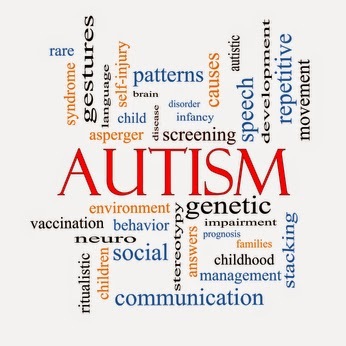 Autism spectrum disorders (ASD) are characterized by impaired social skills; verbal and nonverbal communication difficulties; and narrow, obsessive interests or repetitive behaviors. Common associated symptoms include intellectual disabilities, seizures, and gastrointestinal problems. One of every 110 babies born in the United States, approximately 40,000 new cases each year, is diagnosed with ASD, an incidence far greater than in the 1970s. This increase is due, in part, to changes in diagnostic criteria, detection of subtler forms of autism, and enhanced parent and clinician referral based on greater awareness. Mounting evidence, however, indicates that there is a true increase in the number of children with autism. As a result, research efforts are now focusing on the interplay between genetic and environmental components that might contribute to the diagnosis. Based mainly on twin studies, ASDs are thought to be highly genetic; already, more than 100 genes have been linked to increased risk for autism. That said, however, there is currently no single genetic or biochemical biomarker specifically for autism, because no single gene mutation or biological change will predict the disorder. Therefore, at this time, there is no way to determine if a newborn child is at risk for autism. For this reason, ASD is typically diagnosed based on behavioral symptoms detected in children about three years of age. However, very sensitive measures of social engagement and interaction can detect differences in children between one and two years old, a time when many affected children exhibit abnormal, accelerated growth of the brain. This abnormal growth may indicate that brain development has gone awry, thus making it a potential marker for early evaluation. In addition, recent evidence indicates that some forms of autism may be due to dysregulation of the immune system, either in the mother or the child. One day, genetic or other biological tests may complement behavioral indicators to allow earlier diagnosis and intervention, as well as the means to possibly prevent or reduce ASD symptoms. Brain alterations in autism are subtle; there is no obvious change such as in Down syndrome or Alzheimer’s disease. There is speculation that abnormal development of certain regions of the brain involved in language, cognition, and social communication leads to abnormal connections with other parts of the brain. Although no cure exists and no drugs for the major symptoms of autism have been developed, many affected children respond very well to specialized behavioral therapies based on learning theory, with earlier interventions leading to better outcomes. Many of the therapeutic approaches to autism are guided by an increased understanding of how the brain normally reacts to learning, bonding, and social challenge as it develops. One final note: It is now recognized that many of the brightest and most creative individuals in history may have had subtle forms of ASD. Therefore, researchers and others working in the field need to be aware that some “higher functioning” people with autism do not want to be “cured.” Instead, they would like to be accepted for who they are.